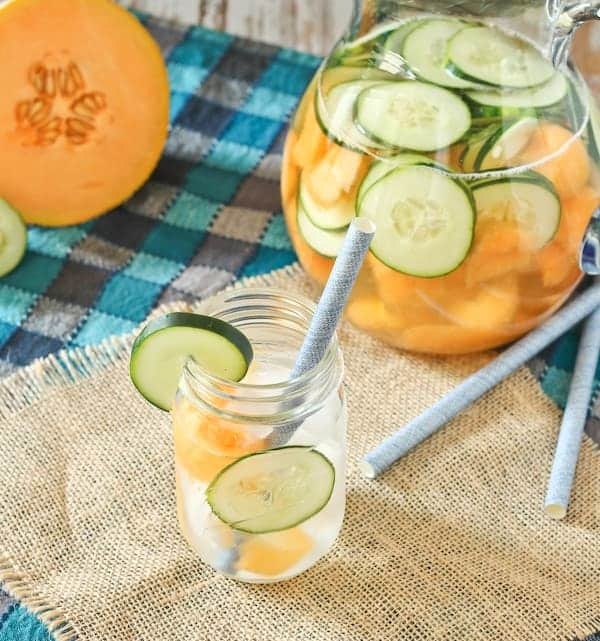 Cantaloupe and cucumber water is not only ridiculously refreshing on a hot summer day, it’s also beautiful to look at! My daughter, who is almost 5, just finished a week of Princess Camp. Yes, princess camp. It might just be the cutest thing in the world. Four days of singing, dancing, and learning about friendship, manners, and etiquette. On the last day, they had a royal coronation where each girl went on stage, received her crown and said what her favorite part of princess camp was. There was a stuffed cat in the foyer of the business that I’m pretty sure once walked and meowed, but other than that, princess camp was totally legit and so stinking adorable. She had a blast making crafts, meeting new friends, and being oh-so-girly. There should be a princess camp for adults. But just with massages, pedicures, and wine. This water just screams a day at the spa, doesn’t it? Or a poolside play date? 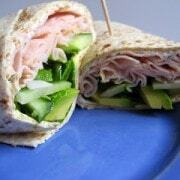 It’s perfect for most anything and it really couldn’t be any easier to make. 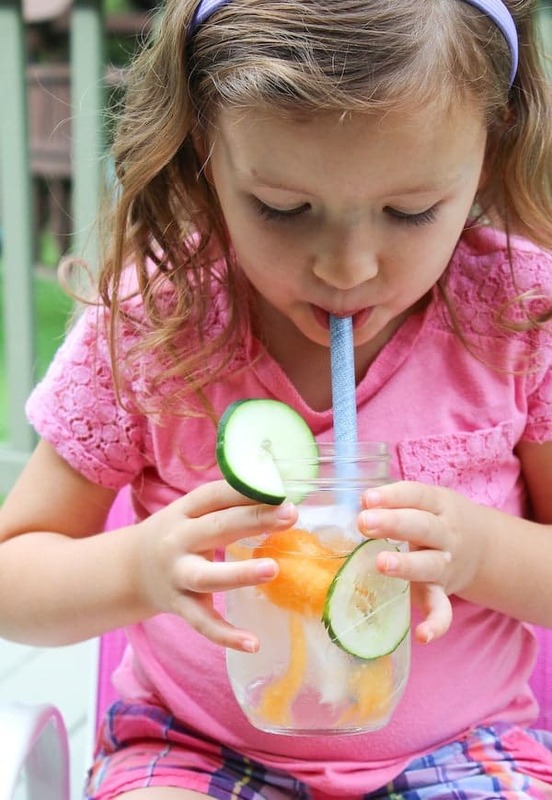 All you need is water (obviously), cantaloupe, and cucumbers. It’s ready to drink immediately after making but the flavors intensity over time. The good news is, there’s still a little summer left. 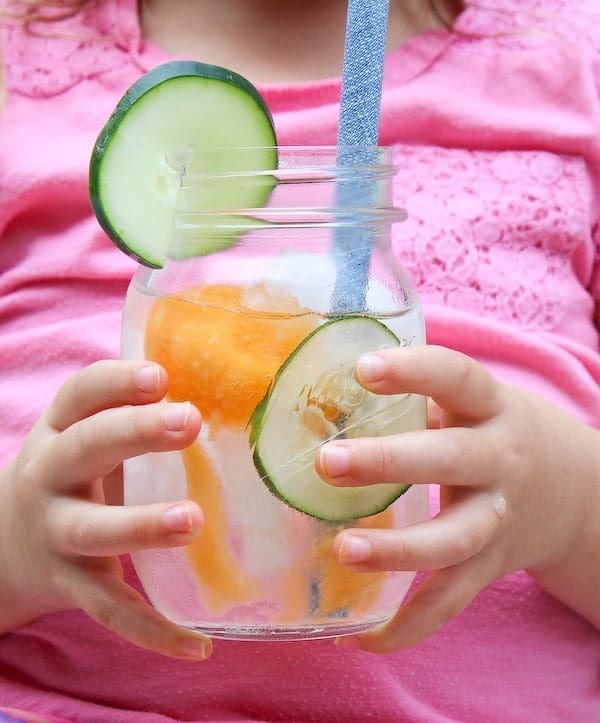 So make some of this water and pretend you’re a princess. 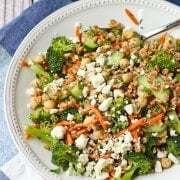 Pour all the ingredients into a pitcher and serve. Husband’s take: I think he liked this even more than I did. The kids and my in-laws loved this water too. 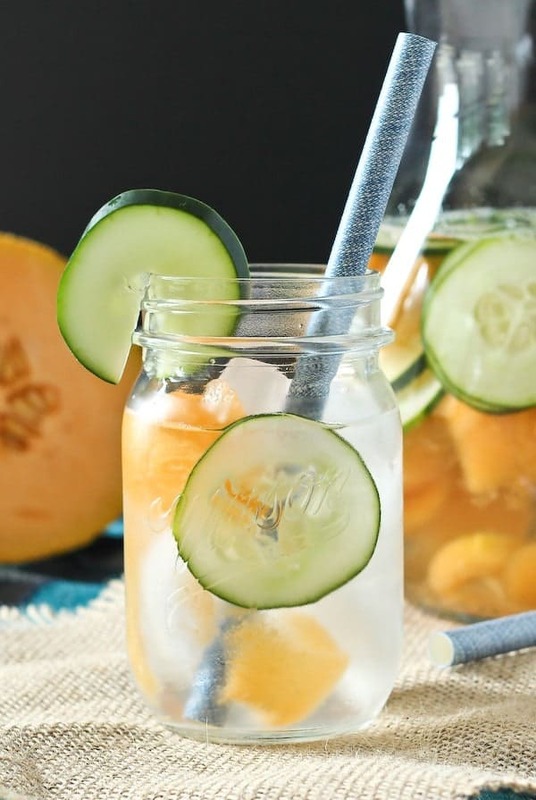 Looking for more refreshing beverages? 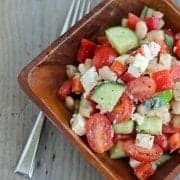 Try: Raspberry Mango Coconut Water Smoothie, Strawberry Watermelon Slushie Spritzer, Blueberry Mint Iced Tea, Creamy Lemon Smoothie, Clementine Smoothie with Vanilla, Cucumber Citrus Infused Water from Dine and Dish, or Peach and Herb Infused Water from Healthy Green Kitchen. This looks SO refreshing Rachel! 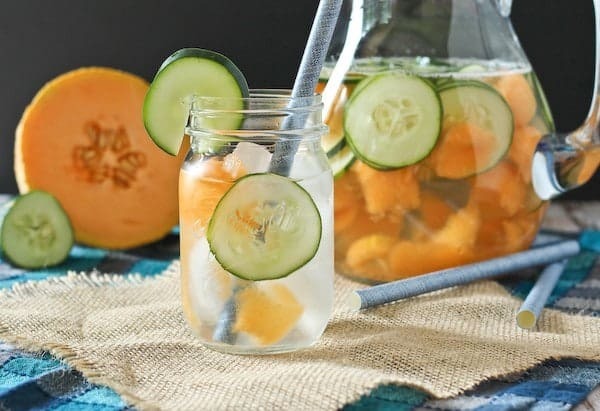 I love cucumber and cantaloupe. Together infused into water sounds like the perfect remedy for summer’s heat. I want to go to Princess Camp! How fun. 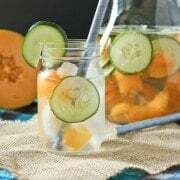 I love, love, love cantaloupe, and with cucumber its the perfect summer drink. Your girl is so cute sipping on those :) Pinning! I’m totally with you on a princess camp for adults!